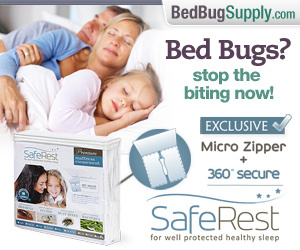 If I have bed bugs must I tell my landlord, condo board, neighbors? 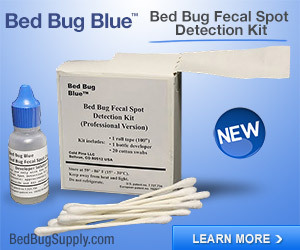 Often, people are embarrassed about dealing with bed bugs, and want to deal with their own infestation quietly and discreetly. Maybe they told the landlord before, and the problem was mishandled, eliminating the bed bugs for a short time, and the person wants to deal with things properly this time. Maybe they think they brought the bed bugs in, and don’t want to trouble others or piss off the owner. Maybe they figure they can just get rid of the problem and no one has to know. They will call a good PCO and get rid of it, and don’t need to involve others. The truth is, if your home is attached to any other homes (whether it’s a high-rise, a three-family, or a single-family row (attached) house, this is probably not a good way to go about things. It can be unethical, it can mean you are liable for spreading bed bugs to others, and it can even mean your bed bugs do not go away, because others are unknowingly sending them to you. This FAQ explains this in a bit more detail. 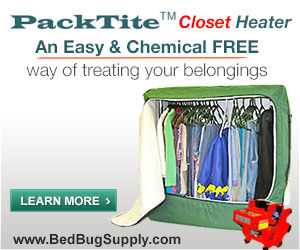 If you think you brought bed bugs to a new home, then you may not want to tell neighbors you have them. Remember that you may be wrong–though your old apartment was infested, it does not mean your new building isn’t also infested. 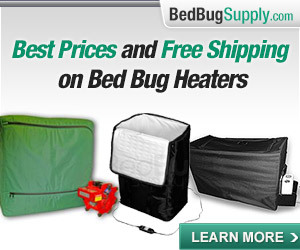 If you live in an area that has a lot of bed bugs, then this is a distinct possibility. Even if you’re fairly certain you brought them in, you may have already spread them to others. 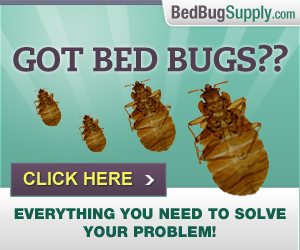 You should tell the landlord and neighbors about the bed bugs. All adjacent units (top, bottom, and on every side) must be inspected by a PCO who knows bed bugs. 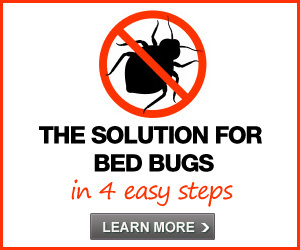 If this is not your first time with bed bugs, but you got rid of them and they’re back, it might be because your building mishandled the problem, eliminating the bed bugs for a short time. You might think hiring your own PCO is the best way to go, now. If you intend to move out, and you think the building is mishandling things, then it’s true that hiring your own PCO may allow you to keep bed bugs at bay long enough to move without them (though we’d recommend a treatment at the other end, to help ensure this is the case). It’s worth remembering that moving is never fool-proof, and many people think they did everything to avoid bringing bed bugs, and still did. But if you intend to stay in your home, it is not wise to try and treat the problem without involving the management, neighbors, co-op board, condo association, etc. 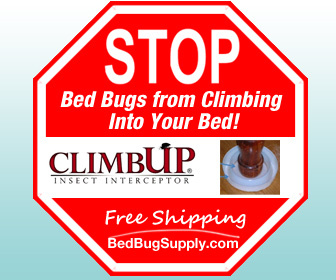 If you eliminated bed bugs temporarily, but they’re back, they are coming from somewhere. It’s always possible you are reinfesting yourself (via your job as a flight attendant, say, or as manager of a homeless shelter). But it’s more likely someone else in the building has bed bugs and they are coming back to you. Treating on your own, without telling others, means this will undoubtedly keep happening. 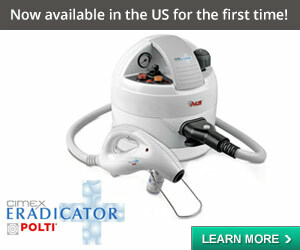 With bed bugs, knowledge (education) is power! It is not pleasant to have to tell neighbors, building management, or landlords that you have this situation, but chances are someone else has them too. 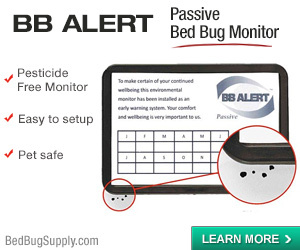 They may not even know they have them, and you may have to educate the neighbors and/or management about how people can have bed bugs, be bitten, and not see or feel bites. They may not notice other evidence until an infestation is advanced. If the situation is that the prior treatment was ineffective, you need to get others to understand this. It could have been done by a PCO that does not know how to treat bed bugs, or it could be that other infested tenants either did not get treatment at all, or did not fully cooperate with treatment, or did not follow up on the continued presence of bed bugs (remember, they may not even know they have them). If you live in a rental situation, you can try discussing the recurrence with the landlord. Hopefully the landlord will get a good PCO in to inspect all adjacent units and treat properly, you may have to take further action, for example, in NYC you might call 311 to report the infestation to the Housing and Preservation Dept. (as per our FAQ on tenants and landlords). This would not likely be your first move, since it might antagonize the landlord to have a housing violation recorded, but it is a recourse if they really don’t take effective action. If you’re in a co-op or condo, it may take some educating to get people to see the need for nipping this problem in the bud, and doing it right, and doing it right now. You should read the helpful articles about bed bugs in co-ops and condos from Habitat Magazine. Start with “Bedbugs and Boards,” and consider also “How to rid your building of bed bugs,” though keep in mind the methods may be different (and more expensive) than those your co-op or condo needs to go with. If you’re battling bed bugs in a co-op or condo, check out the other articles in the Habitat Magazine archives, searching for keyword Pests. 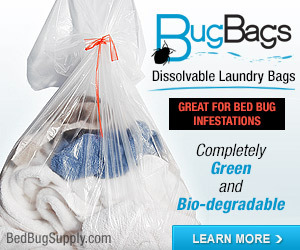 If you are in an attached single-family unit, and your infested neighbor does not notice their infestation or (gasp!) does not care. 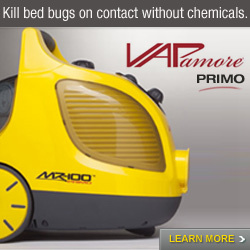 If they do not notice, then it might help for you and your PCO (maybe) to talk with the neighbor about how stealthy bed bugs can be. They probably don’t notice and certainly deserve to be warned. Perhaps the most difficult situation is when it becomes apparent that the attached neighbor does not care. I think that it is truly rare for people to know and not care, truly rare. I have heard of it happening in at least one case where a neighbor had bed bugs crawling on them and obviously did not mind. If this truly is the case, it’s likely the person has other issues, and you might see if there are relatives or friends or visiting social workers who help the person (as is likely if mental illness or senility is present), who you could approach. Again, I think this scenario is very extreme and unlikely. In the row house (attached house) scenario, your PCO may be able to drill some holes in the wall and strategically place a form of DE plus pyrethrin pesticides, so that bed bugs are less likely to cross from one unit to another (this is sometimes done in multi-unit buildings too). The best scenario is to get the other infested residents to seek treatment. If you’ve been doing your research, share what you’ve learned. 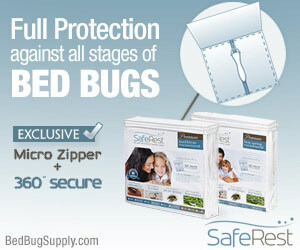 Remember how many misconceptions you had before you were unfortunately forced to learn more about bed bugs. Try to remain civil, and use information to convince others. Above all, be calm. Homeowners, co-op owners, landlords should all be concerned about property values, and it should not be hard to convince them that this problem needs swift and thorough treatment. 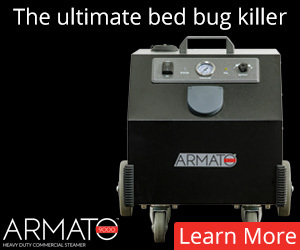 It is almost impossible to keep bed bugs away permanently if they are living in an attached unit, so as much as you’d like to just deal with this discreetly, it probably isn’t ethical or smart. You may spread the bugs, and they may also come back to you. 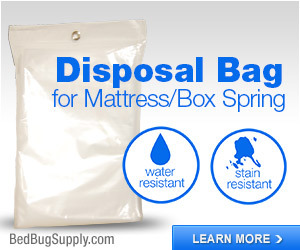 With bed bugs, it’s best to disclose. i live in a 54 loft unit building in oakland, ca. we’ve just had our second treatment with pyrethrins. my landlord has been very sympathetic, but since we think we brought the BB into the unit, she said we had to pay for treatment. both she and the PCO don’t believe that the BB could spread to other units, because of the structure of the building (cement floors, very high ceilings, no cracks between floors and drywall). should the other tenants know about this? it seems that my LL doesn’t want anyone else to know about it. do we just wait to see if the BB are gone in another month, and if not — maybe try to encourage the LL to inspect other units? I cannot comment on the relative possibility of them spreading within the structure, compared with other buildings. However, they do spread within buildings. They can travel via walls or pipe chasings. If you have a laundry room (or any kind of common areas whatsoever, from a package shelf to a lobby chair), they can be transmitted there. Maintenance and other staff can trek them in. If nothing else, they can walk under a crack under the door. 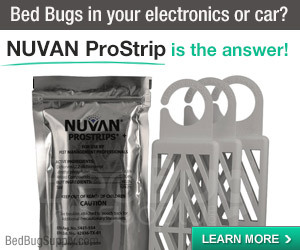 It’s usually difficult to prove who brought them in or how they arrived, though perhaps you have had a recent run in with bed bugs elsewhere and this gave you the idea you brought them in. If not, proactive building managers would probably want to have a better sense whether any units in a cloverleaf pattern (above, below, touching any side or corner) were infested.